Welcome to the Forum, Vikram & Nick. Nick, interior detailing is an interesting aspect of the hobby - especially at the level you describe. Thank you very much for the welcoming. I will be posting pictures of what I have at a later stage. Only able to come online for a short while. Thanks again. Welcome aboard, Nick. I'm looking forward to seeing pictures of your work. I'm NP2626 and a fan of the Northern Pacific Railway. I model N.P. around Butte Montana in the year 1953. By modelling the transition I can run both 1st Gen diesels and the end of steam. 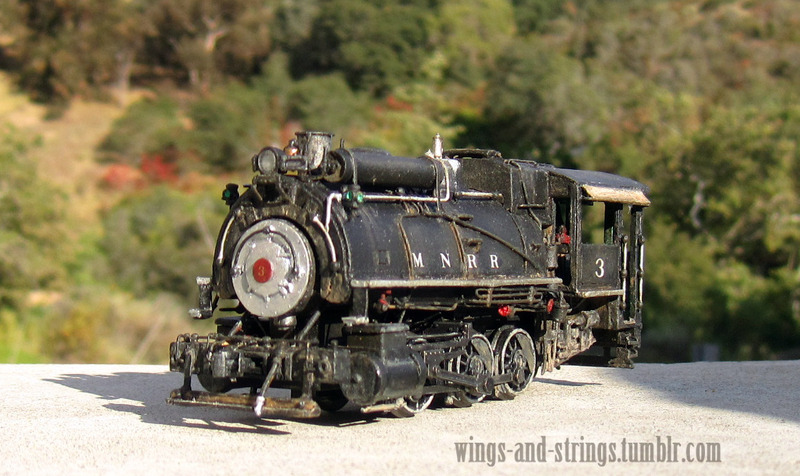 I started in this hobby in 1956 with an American Flyer railroad that my brother and myself shared. I got into HO in 1960 and have been a model railroader off and on since that time. My current layout is loosely based on the Butte Montana area and the layout, although far from complete, is operated and has been in existence since 1988. I am a modeler (a builder of models). So there is very little RTR stuff on my layout. I have close to 140 freight and passenger cars and of this maybe 5 freight cars are RTR. If it wasn't for the model building aspect of this hobby, I would likely find something else to do with my free time. Current projects are re-building a string of MDC Roundhouse Overland Passenger Cars and installing DCC Sound decoders in 4 locomotives. I also like to build wood kits, buildings and rolling stock. The above is what I'm up to. Welcome Mark to the site. Thanks for taking the time to introduce yourself and letting us know your modeling goals. I think that you will find that you have have company in the interest of the NP. Looking forward to seeing your work. Welcome to the Forum, Mark. Thanks for taking the time to introduce yourself to the rest of the members. You will find that building models is the glue that makes us all stick together here. I've been finding some great prototype-oriented info over on the NGDiscussion and C&Sn3 boards. I'm hoping to augment them with something more on the modelling end. I did freelance HO as a teen back in the 70's. I've recently retired and started a 15' x 12' HOn3 layout. I'll be modelling the fading afterglow of the competition between the DSP&P and the D&RG. Specifically, I have parts of the C&S High Line (Kokomo, Jefferson and Silica) in 1936, and the parts of the D&RGW's Gunnison line (Sargent and Marshall Pass) in 1940. Of course one has to have Alpine Tunnel, which is sort of stuck back in 1910, but I mostly ignore that fact. I grew up in TN and CO, so despite the fact that I now live in Ireland, my construction techniques (and modelling subjects) are US-style. Which brings it's own challenges as "common" stuff in the US isn't always common over here. I'm more into historical research and modelling than operations. But I am giving DCC a go this time around. Welcome to the Forum, Jeff. That is a great looking water tank. I'll probably post a thread on her construction progress, as well as one for my newly-started project: a scratchbuilt Baldwin 8-18c in HOn3. If that doesn't end in bombastic failure, I may pursue HOn3 full-time. Looking forward to what everyone else has been working on; there's a wealth of top-notch craftsmanship here that's continually inspiring. Welcome aboard, Jeff and Tom. Jeff, I like your Masonite spline roadbed. I guess it's not called Masonite in Ireland. Tom, that's a fine looking locomotive. I'm interested in seeing your postings about your loco builds. I probably been interested all my life with a little train set but started about 20 years ago and really started about 5 years ago. I intend to model my local region utilising contemporary models. Greater Boston, MA, but work on my friend�s layout in NH. Say what? My friend just showed me these interesting kits, I said �oooh!� and started building. It�s taken over his attic, and is HO scale. Haven�t done it long enough yet to have discovered those. Trains? Nah, I stick with scenery. I don�t need another hobby, I don�t need another hobby, I don�t need another hobby. Sometimes nicknamed MissGuyver, I�m a general maker and troubleshooter. Like to think outside the box and make things work. Female, 45, Dutch by origin, outspoken, computer geek, sometimes blue-haired. It�s already somewhere on your forums. I�ll send you on a puzzle-hunt to find it. Though I think it�s not so much about me as it is about the stuff I make and how I make it. With an intro like that, you'll fit right in around here. Most of us are slightly (some more so than others) off-plumb. Welcome aboard, Mieke. It's nice to see you've jumped in with both feet. The yard office looks great. I love your name (pretty close to the spelling of mine) and I love your version of the West Lynn yard office!